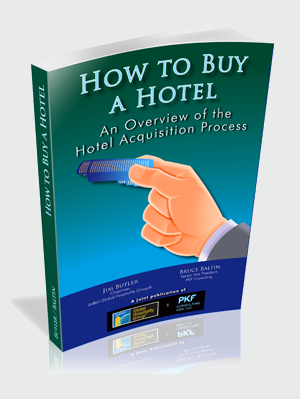 In How To Buy A Hotel, A Detailed Overview of the Hotel Acquisition Process, Jim Butler and Bruce Baltin use their decades of practical experience in advising hotel buyers and sellers to offer a comprehensive overview of the hotel acquisition process. For professionals who are involved in only certain aspects of hotel acquisitions, this booklet provides a perspective-broadening narrative exposing the entire process of buying a hotel -- from identifying the opportunity to calculating the price, and from due diligence to closing the deal. Veteran hotel buyers will want to share this perspective with new team members. It will be a great starting place for them to move into real deals. It has been used for more than 15 years to prepare hotel school students to deal with this important aspect of the hotel industry in the real world. Hotel lawyer Jim Butler and hospitality consultant Bruce Baltin provide a straightforward, comprehensible account of a complex process that often includes high stakes for all involved.